Since ages, women have been considered and treated as the weaker half of society with the common belief that they always need a protector – be it father, brother, husband or even son. Women have also accepted this and believe themselves to be weak and dependent. Women have tremendous mental and emotional strength. They are very strong mentally and are capable of handling all situations. On the physical strength aspect, they need to realize that what makes anybody win is not the physical strength but the will power and the mental alertness. Self Defence training for women imparted by Delhi Police targeted this and made every participant realize that she is capable of handling a miscreant/attacker on her own, with the help of some simple but effective self defence techniques that were taught easily with expertise. Some of them were neck attack, bus attack, knife attack, and hand grip and hair attack. 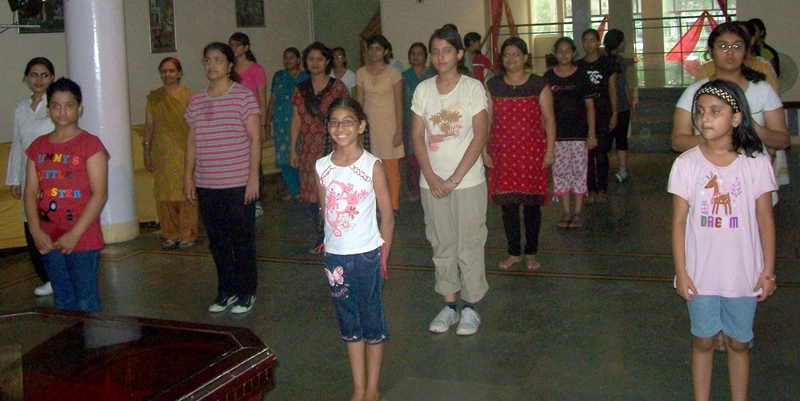 Dwarka Forum and Delhi Police did a commendable work in organizing first such training camp for women. Hopefully, many more such training camps will come up in Dwarka for different target groups in near future. Short term weekend camps would be beneficial for working women who need such training the most but cannot attend it due to their working hours and busy schedule.